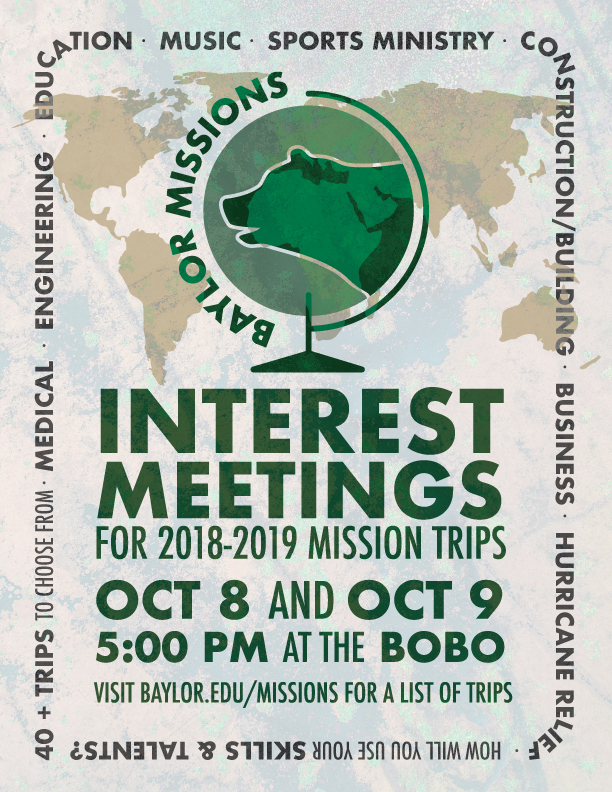 Thinking about going on an international or domestic mission trip with Baylor in 2019? Whether its Kenya or Washington DC, come learn more about opportunities for YOU to serve in discipline-specific missions all around the world! Come learn more about Baylor Global & Domestic Missions from those who know it best..our past participants and team leaders! Pick their brains & hear their stories, PLUS learn how to apply for next year! (Applications due 10/23(SB); Nov 19 (May/June/July) available online NOW on our website!